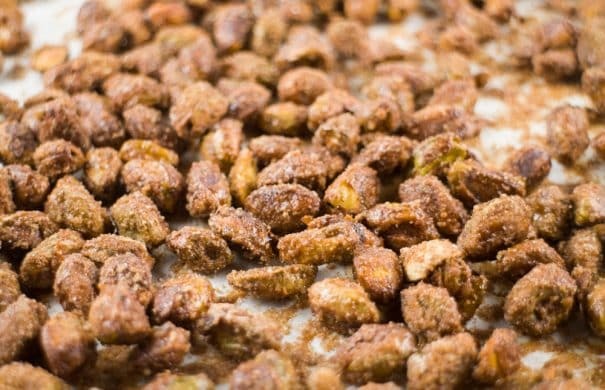 Easy to make Cinnamon Sugar Pistachios recipe! These are perfect for healthy snacking! I love gifting these in mason jars for the holidays too! Pistachios are something of a necessity for the holidays in our house. As a kid Santa would always leave me a bag of red pistachios in my stocking that I would eat right up with my pistachio red stained fingers. 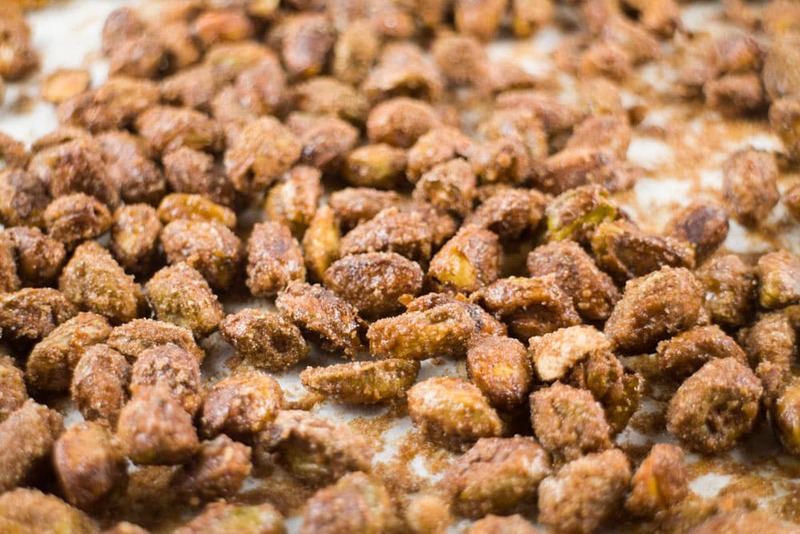 As a adult I still get pistachios at Christmas time, but now I like adding some cinnamon sugar spice to them. There is something about the smell of cinnamon that really gets me in the holiday spirit and has me humming Christmas songs!